Our English pages will soon be updated!! Please contact us by email or phone for more info about our products and services. The Soundguide is presented in the norwegian magazine Gemini. 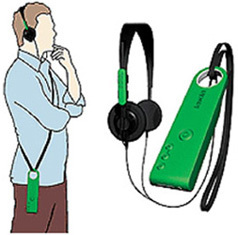 It can provide a interactive, 3-D soundexperience. Erlend Østbø, masterstudent at Norwegian University of science and technology, designed the Soundguide.